“There’s no such thing as bad publicity” is a statement often attributed to Phineas T. Barnum, the 19th century American circus owner and self-promoter extraordinaire. Johnson & Johnson (NYSE: JNJ) is proving this oft-repeated adage to be very wrong. For years, diversified health services behemoth Johnson & Johnson has been a Steady Eddy growth-and-income stock, making it a staple in retirement portfolios. But scandal now weighs on the company, raising doubts as to whether JNJ should be shunned by investors right now as too risky. Until the negative headlines came along, Johnson & Johnson seemed a smart long-term play. One of the surest ways to make investment profits is to tap into unstoppable trends; few trends boast as much momentum as global demand for health services. Populations around the world are aging and middle classes in emerging markets are getting more affluent — it adds up to fast growing expenditures on doctors, hospitals and drugs. 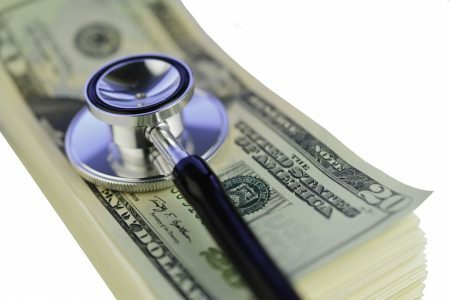 U.S. government statistics reveal that Americans spent $3.65 trillion on health care in 2018. That level of spending is by far the highest in the developed world and represents an increase of 4.4% over 2017. Experts estimate an average annual growth rate of 5.5% in U.S. health care spending from 2018 to 2027. Johnson & Johnson ostensibly enjoyed tailwinds as far as the eye could see, until allegations broke in late 2018 that management has been covering up for decades the presence of cancer-causing asbestos in the company’s Baby Powder line of products. Asbestos… in Baby Powder? It’s the sort of lurid story that makes TV news producers salivate. 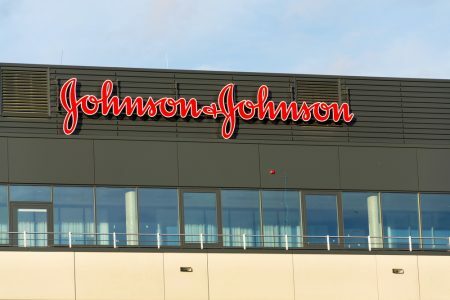 I’ll delve into the worsening Johnson & Johnson scandal in greater detail below, with a conclusion as to whether JNJ is an appealing contrarian play now or a troubled stock you should avoid. What Is Johnson & Johnson? With a market cap of $365.3 billion, Johnson & Johnson is a vast, diversified colossus that’s practically a mutual fund of the health services industry. Based in New Brunswick, New Jersey, Johnson & Johnson traces its roots to 1886, when it was founded by three brothers: Robert Wood Johnson, James Wood Johnson and Edward Mead Johnson. In 1888, the company developed the first commercial first aid kit, which was initially designed for workers in the booming railroad industry. That year, it also published Modern Methods of Antiseptic Wound Treatment, which conveyed best practices for sterilizing surgery. Other innovations followed, notably Band-Aid bandages in 1920. Johnson & Johnson began trading publicly in 1944. Johnson & Johnson’s consumer segment makes the products that are familiar to anyone who visits their local retail pharmacy, including Band-Aids and over-the-counter drugs such as Tylenol, as well as non-medicinal items such as Listerine mouthwash and Neutrogena skin care lotion. The company’s medical devices and diagnostics division produces a range of products that are mainly used by health care professionals in the fields of orthopedics, surgery, vision care, diabetes care, infection prevention, diagnostics, and more. Johnson & Johnson also is active in oncology. Through its Janssen Pharmaceuticals subsidiary, JNJ is testing a treatment that combines radiofrequency ablation with chemotherapy agent Doxil to reduce tumor growth in the liver. How Has Johnson & Johnson Stock Performed? What Is Johnson & Johnson’s Stock History? Since the scandal broke on December 14, 2018, JNJ has gained 3.1% compared to a gain of 8.9% for the S&P 500. That month, JNJ lost 12% compared to a 9% decline in the S&P 500. Over the past 12 months, JNJ has gained 5.3% whereas the S&P 500 has gained 4.4%. Over the past two years, JNJ has gained 9.3% whereas the S&P 500 has gained 20.8%. Over the past five years, JNJ has gained 40.7%, the S&P 500 has gained 52.5%, and the benchmark iShares Global Healthcare ETF (IXJ) has gained 35.9%. How Has Johnson & Johnson Performed In 2017/2018? In 2017, JNJ gained 20.6% and the S&P 500 gained 19.4%. In 2018, JNJ gained 7.3% and the S&P 500 lost 7.5%. Who Are Johnson & Johnson’s Rivals? Johnson & Johnson faces competition from several Big Pharma and diversified health services providers. Here’s a look at three of its major rivals. With a market cap of $256.7 billion, Pfizer is a leading player in all four of the largest over-the-counter categories: pain management, dietary supplements, respiratory and digestive health. Based in New York City, Pfizer develops and produces medicines and vaccines in the fields of immunology, oncology, cardiology, endocrinology, and neurology. Its products include the blockbuster drug Lipitor, to lower blood cholesterol; Lyrica for neuropathic pain; Diflucan, an oral antifungal medication; Zithromax an antibiotic; Celebrex, an anti-inflammatory drug; and Viagra for erectile dysfunction. The loss of key patents covering cholesterol-fighting juggernaut Lipitor and anti-inflammatory drug Celebrex has wreaked some unwanted punishment to Pfizer’s top and bottom lines. However, Pfizer appears to have finally turned the corner and put the worst of its patent exclusivity issues in the rear view mirror. Pfizer has proven its ability to grow by devising new products and by making well-timed acquisitions of potential rivals. Based in Kenilworth, New Jersey, Merck is a leader in producing effective anti-cancer medicines and therapies. A standout drug for Merck is Keytruda, for the treatment of patients with recurrent or metastatic cancer. Merck (market cap: $201.3 billion) has been a solid performer in the health care field for decades. The company operates in four segments: Pharmaceutical, Animal Health, Healthcare Services, and Alliances. The company offers treatments for cardiovascular diseases, diabetes, asthma, nasal allergy symptoms, chronic hepatitis C, HIV-1 infection, and other ailments. Merck is well-known for producing such widely advertised medicines as Vytorin (cholesterol) and Fosamax (osteoporosis), but it is also involved in developing medicines that physicians use to fight life-threatening conditions. With a market cap of $18.7 billion, Teva stands in the forefront of biosimilar research and development. The company is readying several new gene-based biosimilar drugs for market and is on the cusp of dominating this space. These three health services giants are top competitors to JNJ but the above list of rivals is far from comprehensive. Will Johnson & Johnson Go Up In 2019 (Should You Buy)? First the bull case. And it’s compelling. Johnson & Johnson is one of the largest corporations in the world. This health services conglomerate boasts the world’s largest medical device business and it also owns market-dominating personal care and health brands that generations grew up with as consumer staples. Overall, Johnson & Johnson owns and operates more than 250 subsidiaries. Johnson & Johnson is benefiting from economic recovery and also enjoys substantial pricing power, allowing it to charge more for its products without undermining demand. And yet, JNJ is trading at a reasonable valuation, especially compared to more glamorous and expensive biopharmaceutical stocks. JNJ’s forward price-to-earnings ratio (FPE) is 15.1, roughly in line with the FPEs of PFE (13.5), MRK (15.5) and the S&P 500 (17.5). It’s higher than TEVA’s FPE of 6.3, but Teva’s stock has struggled lately as its sales decline amid intensifying generic drug competition. Using another valuation metric, JNJ currently has a price/earnings to growth ratio (PEG) of 2.11. The PEG ratio takes the expected earnings growth rate into account. As a whole, large-cap pharmaceutical companies sport an average PEG ratio of 2.14. With a current dividend yield of 2.61% and a stable of familiar household brands, JNJ has over the years provided steady income coupled with market-beating share price appreciation. In fact, Johnson & Johnson is a Dividend Aristocrat with a history of dividend growth that goes back to 1963. To earn the title of Dividend Aristocrat, a company must have boosted dividends for at least 25 years. The company plans to file about 10 new drugs by the end of 2019, each with potential annual revenue of $1 billion. The product successes have staying power; the bad publicity could prove ephemeral. It’s testimony to JNJ’s inherent strengths that the stock has withstood the talcum powder scandal as well as it has. Will Johnson & Johnson Go Down In 2019 (Should You Sell)? The long-term bull case is strong. But to me, the short-term bear argument is even more persuasive. Johnson & Johnson is currently bedeviled by legal woes that cloud the company’s otherwise bright future. The company is bracing itself for a flood of litigation after a jury in July 2018 ordered the company to pay $4.7 billion to 22 women who blamed their ovarian cancer on asbestos in its signature Baby Powder line. An investigative Reuters report in December 2018 accused Johnson & Johnson of covering up the use of asbestos in its popular talcum powder products. The explosive article triggered a selloff in JNJ shares, erasing about $40 billion in the company’s market value in one day. The stock has recovered somewhat but continues to struggle and lag its peers and the broader market. JNJ management denies the allegations, but if they turn out to be true, the company could face a massively expensive legal headache similar to the woes experienced by Big Tobacco. In March 2019, a California jury awarded $29 million to a woman who claimed that asbestos in Johnson & Johnson’s talcum powder-based products caused her cancer. As this video makes clear, the scandal has been making major headlines and shows no signs of abating. 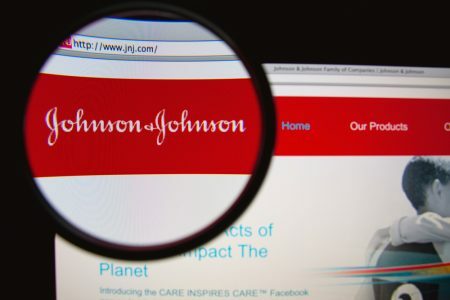 Johnson & Johnson management acknowledges that the company has received subpoenas from the U.S. Justice Department and the Securities and Exchange Commission (SEC) related to the allegations. In theory, Johnson & Johnson would make sense now for investors because we’re in the latter stages of economic recovery, when consumer staples stocks such as JNJ tend to outperform. However, until the company’s legal problems are resolved, Johnson & Johnson remains a speculative investment. Management is grappling with a public relations nightmare. Johnson & Johnson could emerge from under its cloud and resume its growth trajectory. But JNJ also could find itself in hot water for a long duration — similar to Volkswagen (OTC: VLKAY) with its emission scandal. Boeing (NYSE: BA), with the deadly crashes of its Boeing 737 MAX 8/ MAX 9 passenger jets, also comes to mind. Prudent investors should avoid JNJ. If you hold the stock, don’t sell. But hang tight until there’s clarity over the widening talcum powder scandal. When a strong stock is in trouble, it’s not always a contrarian play. With apologies to P.T. Barnum, sometimes bad publicity is just… bad.